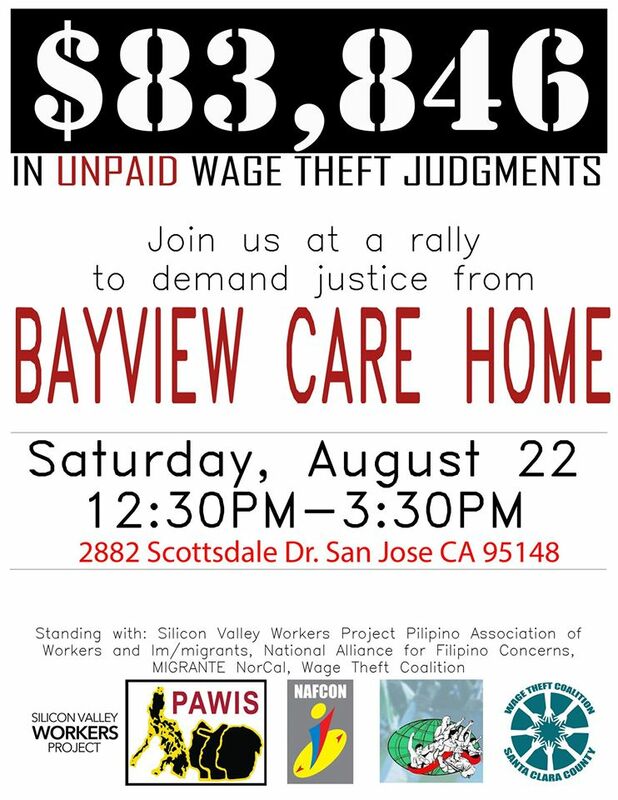 We are having a rally and protest against a care home who owes a worker and his mother $83,846 in unpaid wage theft judgments. numbers to show San Jose we will not put up with wage theft in our city or county. PAWIS is a grassroots organization fighting for the rights and welfare of Fiilipino’s in San Jose, and Santa Clara County.